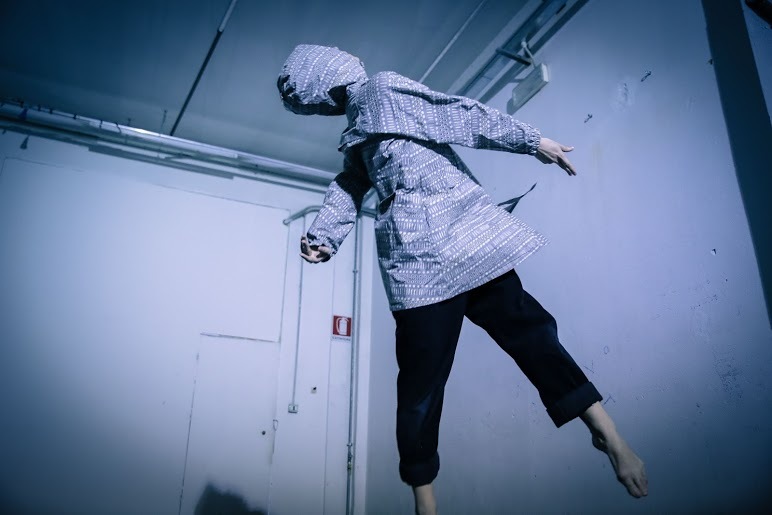 The Dance Roads network has been touring contemporary work from establishing choreographers around Europe for a few years now (the network itself was set up in 1990). The aim of the tour is to allow artists from partner countries to be seen by new audiences in European countries that they might not normally visit, and consequently dance fans from these countries get the opportunity to see work from different cultures. This year’s three-week tour brought together choreographers from Wales, Italy, France, Holland and Romania, and the Dance Roads festival was presented to audiences in Bordeaux, Turin, Bucharest and Arnhem before finishing up at Chapter Arts Centre in Cardiff. Audiences reacted in different ways to different works as the tour progressed, but one thing was common – the artists’ passion for innovative work. The showcase kicked off with Dutchman Jasper van Luijk’s Yonder, a solo piece he’d choreographed for Jefta Tanate. 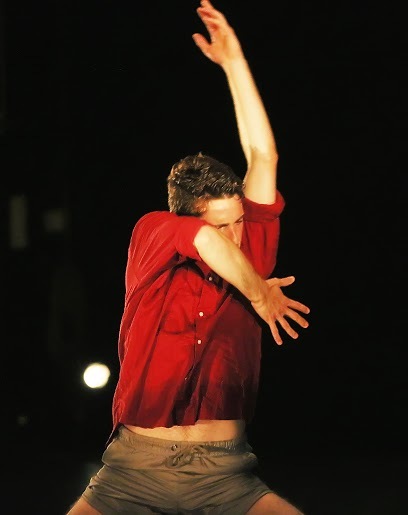 Jasper has been choreographing for five years after graduating from Arnhem’s ArtEZ Dance Academy, and one of the recurring methods in his work is to allow the performer to react “in the moment”, making snap but fluid decisions about their response to the piece. Tanate is naked for the entire 25-minute piece. His movements begin jerkily, tentatively, slowly growing and learning until there is more confidence and size in the performance. The lighting is stark, illuminating Tanate’s muscular form creatively so that the entire body is rarely seen at once, and the dancer occasionally becomes ambiguous. The lighting is key to the success of Yonder, as Tanate swings precariously from stage lamps (a life-giving sun, perhaps? ), and later in the piece, rapid strobe lighting picks out the tumbling figure in staggered snapshots, rather like a zoetrope. This has the unsettling effect of a horror film, with Tanate juddering and flashing across the stage. There’s also a section where Tanate spins round with increasing speed, and it was hard to tell if he was spotting or not. I don’t think he was, or maybe he was skilled enough not to show it, but the end result was a heart-in-mouth escalation of circling, whirling action reminiscent of an out-of-control Vitruvian Man. Tanate has astonishing balance and control which allows this choreography to soar. The Welsh presentation was Wales Theatre Award-winning Gwyn Emberton’s Of the Earth, from Where I Came. This is not a new piece, and is something Gwyn used to perform himself, but is now most often performed by younger dancers, including, in this instance, Spaniard Albert Garcia. This is an accomplished, nuanced and utterly beguiling piece in which the solo performer becomes an animalistic creature, sprouting from the earth, then wheeling and cavorting through the freedom of life upon the earth, and finally returning to the earth from whence it came as death takes hold. Garcia, a graduate of the Conservatori Superior de Dansa in Barcelona, is phenomenal here, lithe and agile, embodying nature and contorting in ways I didn’t think were possible (but then, I sit at a laptop and moan for a living; Albert simply flies!). Time was the common theme between these first two pieces, dealing with the effects of its passage upon the body and its environment. The third piece was Compagnie Adequate’s Knots, a beautiful study in human relationships, and in particular the similarities and differences between men and women. Lucie Augeai and David Gernez interrogate the reactions and responses of each gender to different situations. The piece begins with some intricate, light-hearted “hand-dancing” (for want of a better term) in spotlights, then develops into a synchronised progression toward the stage, their faces joining in the language of the choreography – Lucie puffs her cheeks out and holds her breath while David affects a rictus scream. Knots essentially demonstrates how men and women move through life together, doing the same things but in different ways. Women react to situations differently to men, but the two are essentially always moving in the same direction, side by side. Sometimes there may be a bump in the road and their differences come between them, demonstrated in the combative aspects of the dance, but ultimately the deep connection between the genders means that latent symbiosis wins in the end. The piece climaxes with a delicate, complex tango of bodily connectivity, bringing to a close a clever, entertaining, funny piece of choreography which translates its message clearly. The French presentation was probably the only one of the five dances with any intentional humour laced into it. That’s not to say there wasn’t the odd smile, and certainly the odd bemused expression, for the fourth dance, Italian choreographer Claudia Catarzi’s Qui, Ora (“the here and now”). This piece demands more of an interpretive understanding from the audience. Catarzi first performed it in 2011 for the experimental Contemporanea Festival in Tuscany, and it won her residencies in the Canary Islands and Barcelona. She edges onto the stage, picks up a plastic mac which she finds slumped on the floor, and slips it over her head. It’s from this point that the dance slips into the avant-garde: Catarzi rolls around the floor, seemingly randomly and indiscriminately, always accompanied by the reassuring squelch of the plastic mac. The piece is supposed to be about how the body reacts to stage conditions such as sound, props, costume and the proximity of the audience, but while that may be Catarzi’s inspiration, I didn’t feel it was a message I received very clearly. There are microphones that she does not interact with, and at one point a Johnny Cash song is played. I’m not sure why; I suspect only Catarzi knows the truth. Finally there was Lay(ers) from Romanian, who has studied psychology and contact improvisation in dance – and it shows! She begins by writhing around on a chalky floor almost completely naked apart from flesh-toned underwear. She creates swirling shapes in the chalk dust with her body and long, flowing hair, rolling and cavorting in circles until she is caked in powder. But then things change up a notch. Cristina drapes her hair and body over somebody sitting in the front row and then stands before us, like a feminised Oscar statue, and asks members of the audience to enter some form of meditative state. Then she asks people to use pencils to write words upon her exposed flesh. I don’t know how enthusiastically this was embraced in the more audacious countries on the Dance Roads tour, but this was Wales. People do not tend to leap from their seats to scribble on naked women’s bodies unless they’re paying for the pleasure in a Soho strip joint. This was an arts centre in Cardiff, but thankfully, three game audience members did take up the challenge. The disappointing thing was that, with the personalised words now adorning her body, the performance did not seem to take any heed of them, there was no unique interpretation of the situation. Cristina merely wiped the words off, peeled off Latex layers of skin from her neck and limbs, then produced a bowl of water to wash away all the dust. The piece ended with Lilienfeld stripping off her underwear and moving into the audience to touch as many people as she could before disappearing into the technicians’ booth at the rear. She returned for her round of nonplussed applause. At least now I can tick off “Being Touched by the Wet Hand of a Naked Romanian Girl” from my bucket list, something I hadn’t noticed was on the list until it happened. The performance was superficially about skin and layers and the different stages the skin goes through, from birth to death (that theme of the passage of time again). But I know that many of the women in the audience saw it as not so much female empowerment but mere titillation. The five pieces in this year’s Dance Roads tour were varied in style and approach, but if nothing else it demonstrated that there’s plenty of fresh ideas circulating in the European contemporary dance community, and it’s a privilege to be able to see examples from some of the countries at the forefront of the genre.